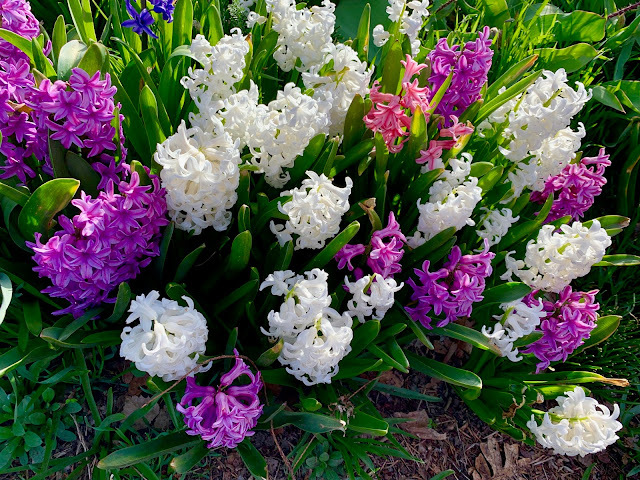 Hyacinths are the flowers of my childhood. My mother planted a bed of them right by the house. I always marveled at how straight and strong they were under the weight of all those perfect small blossoms. I thought it was very special that the same flower could come in so many different colors. Blue, pink, purple, white. It always makes me feel joyful to see them. This bed is in Richmond Beach - Lee found them on one of her walks. My thanks to whoever planted them!